A boiler is an enclosed vessel that provides a means for combustion heat to be transferred to Water until it becomes heated water or steam. The hot water or steam under pressure is then Usable for transferring the heat to a process. The Versol standard range of Boilers are is developed to generate hot water/Steam based on the demand by efficiently. VERSOCALD are mainly 2 types- Steam Boilers and Hot Water Boilers. Further based on the construction they are classified in to Vertical &Horizontal type boilers. 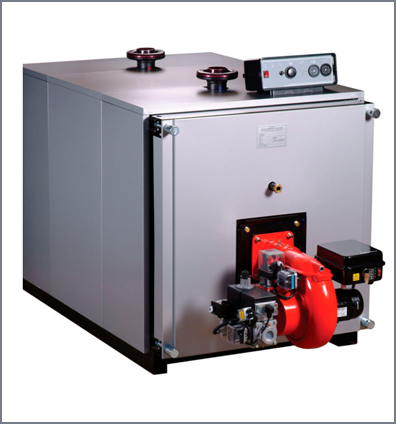 VERSOL have wide range of boilers which include Real Three Pass Boilers, Reverse Flame Boilers and Condensing Boilers. The boilers VERSOCALD-WH- RF are Monobloc boiler, with three smoke passes in which two in combustion chamber at pressurized combustion, with furnace back completely wet. These Range are suitable to work with Gas, light oil or heavy oil fuel. The boiler VERSOCALD-WH- RF is equipped with special tabulators in stainless steel AISI 430, with special forming for increase the smoke turbulence and increase the thermal exchange heat/tube with low consumption and high efficiency over 95%. The boiler VERSOCALD-WH- RF is classified to three stars. The boiler VERSOCALD-WH- RF is suggested to be used in heating plants with hot water up to 95°C (for export 115°C), with working pressure 6 bar (on request 8 or 10 bar). These are monobloc boilers at three smoke passes (pressurized combustion – Low NOx) with wide furnace with passing flame and with wet bottom, suitable for working with liquid and gaseous fuels. Geometric structure (tube nest over the combustion chamber) that allows to reduce the width; in such way is easier the introduction in the heating plants with narrow entry passages and with reduced dimensions. Through use of special turbolators of new conception, built in STAINLESS STEEL that increase the smoke turbulence, they can be considered high efficiency boiler superior to 93%. Versol Steam boiler monobloc, with reverse flame (pressurized combustion), pressure 11.8 bar (on request also 14.7 bar), high efficiency, equipped with wide furnace with wet back, dry saturated steam thanks to an effective humidity separator placed before the outlet.Easy maintenance thanks to the big front door and to the bolted smoke chamber totally dismountable. Suitable to work with gas, oil or heavy oil. 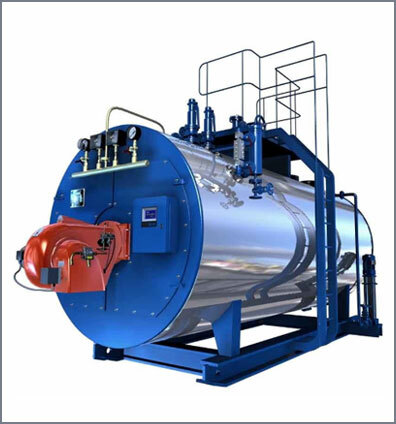 Versol Steam Boilers are available in high pressure and low pressure, whereas high pressure at 11.8 Bar (on request up to 14.7 Bar) and low pressure at 0.98 Bar.